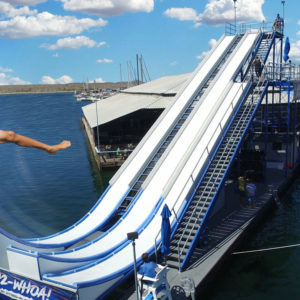 The leaders at Hydro-Platforms are at the forefront of the design and production of the worlds most exciting recreational swim platforms and launch slides. Their proprietary launch designs encompass an unparalleled thrill in conjunction with a completely safe experience. of attention on any recreational location!